November is National Adoption Month, and in its honor I want to share a story with you. This is a special story, because it is MINE. You see, I’m an adopted child. It’s not something I talk about much. I’m a very private person and sharing my story is something I only do occasionally, with people I’m close to. Adopting a child can make a tremendous impact and alter someone’s life forever, which is why I’m choosing to share it publicly with you today. I was born in Seoul, Korea. At the time of my birth, people of mixed race were not accepted. A female child of mixed race had only one option open to them in my home country, and that was prostitution. My name was Ma Nim Kim for the first three years of my life, and I don’t know my actual birthday. The birthday I now celebrate was picked for me based on the size I was at roughly six months. Well, they didn’t refuse, and I happily found my way to America and my new family. My parents, Karen and Jerry Adams, were already raising two children of their own, but they still had enough room in their hearts and home to fit me. Just like that, I had an instant family. My parents taught me the meaning of giving and sharing, and the deep special love of a family. 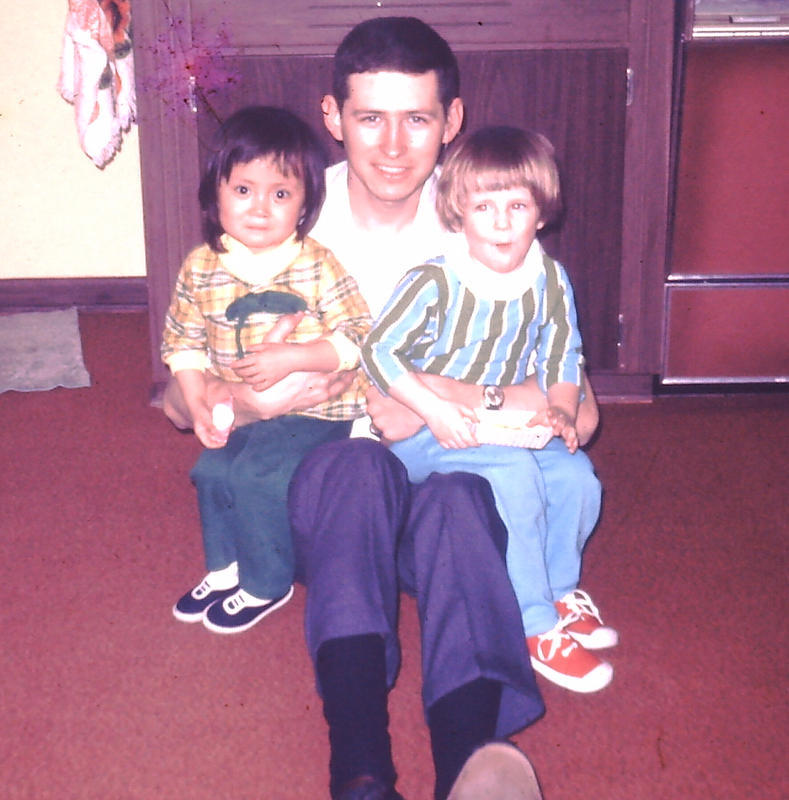 My mom and dad never made feel like I was adopted and not one of their own; they loved and cared for me as much as my brother and sister, their biological children. When I came to America I didn’t speak a word of English, but I learned fast. There are funny stories of how I was initially terrified of the family dog (dogs weren’t common as pets in Seoul), how I would hunch over and guard my food, or I would take all of the toys and hide them in my bed. That said, I very quickly settled into my new life with this wonderful family. Occasionally Dad would be asked to give talks about his time in the Navy. People would see that I didn’t look like the rest of the family and they would ask about me and our story. Back then, adopting internationally was still in its infancy. 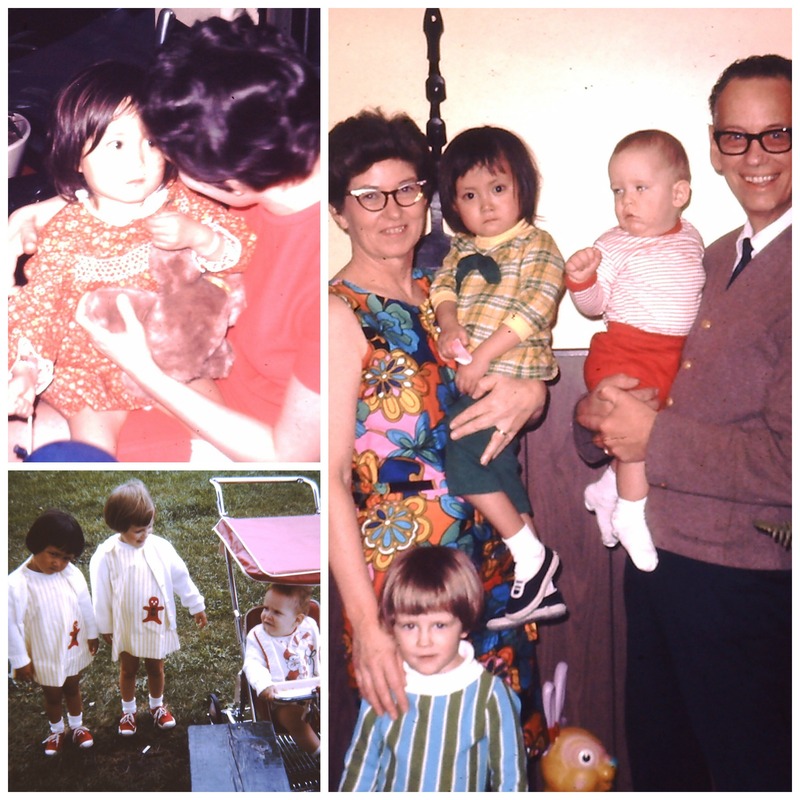 My parents came to discover that other people were moved to adopt children abroad because of our story. To this day, that’s thrilling to hear! I see people who struggle so hard trying to conceive children of their own, and I often wonder why they don’t consider adoption. Not only would they gain by having a wonderful child in their arms to love, they would also alter someone’s life in a way they may not have considered before. Today, I live in Frederick, Maryland, with my son, Josh. I own my own business and am an active member of the community. I have great friends, wonderful clients, and a beautiful home. I shudder to think of what my options would have been like in Korea if I had not been adopted by the Adams family. Today, I only remember three things in my native Korean: mother, father and I Love You. Doesn’t that really say it all? Sue- your story has really touched my heart. I am an adoptive Mom, and I wonder sometimes how my kids reflect on their own adoption story when they are older, and will they feel as you do? I hope will all of my heart that they will! I have three biological children and three that joined our family though international adoption. And I can tell you that my love runs deeply and equally for all of them. Prior to adopting when people would ask me if I could love them all the same…. I would remind them that they love their spouse deeply- and that person isn’t related to them by blood- why would they feel any differently about their adopted child? Sharon, what a wonderful Mom you are. It may take them to get older to fully realize how lucky they were that you picked them. I hope you are all enjoying wonderful family experiences full of love and laughter. Beautiful story, Sue. Thank you for sharing it. Your parents sounds like wonderful people. Joan! So great to hear from you, thanks for the kind words. Hope all is well with you and your family. I’m so glad you shared your story. Thanks, Sandy! That means a lot to me. The story is beautiful – just like you. I am thankful your parents brought you to America and gave you the opportunity to flourish here; as a woman, mother, artist, and friend. I wish all people would consider adoption options, women who are faced with a life choice, and people who have room in their heart and home for a baby!